Here are the setup steps to enable timesheet approval directly via email. 1. Log in as Admin, click Settings available on extreme right. 2. Under Settings, click Company > Account tab (Account tab remains selected by default). 3. 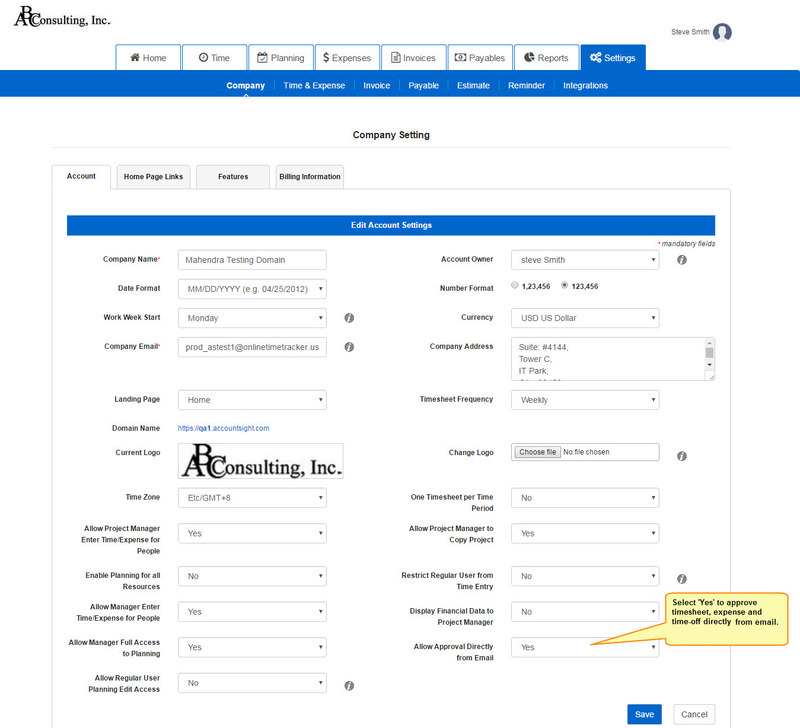 Under Account, navigate to Allow Timesheet and Expense Approval Directly from Email, located at the bottom of the page. Adjacent to it, from the drop-down, choose Yes (if not selected). Click Save. Note: Click Edit Account to edit the settings, available at the bottom on the extreme right to edit this page.